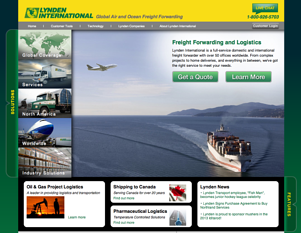 Lynden International, a full-service freight forwarding and logistics company, has launched a newly designed website at www.lynden.com/lint. The expanded and enhanced site was created by Lynden's marketing team to update and improve content and make navigation easier for new and current customers. "We spent more than a year researching and fine-tuning the changes," explains Marketing & Sales Support Director Dorene Kolb. "Our goal was to make it easier for customers to find us online and then to find what they need on our site within two clicks of the mouse." The new site offers user-friendly "solutions" pages with a case study and brochure for each to help customers learn more about Lynden services such as Global Coverage, Tradeshow, Oil & Gas and Pharmaceutical. The pages help customers research transportation and logistics projects and access the shipping tools they need. Each page also features an icon to "get a quote or learn more" and allows customers to log onto EZCommerce to track shipments or use Lynden's LIVE CHAT feature to talk to a Lynden representative. Lynden International is one of the Lynden family of companies, whose combined capabilities include: worldwide air and ocean forwarding, third-party logistics, trade show shipping, shipping to Alaska, truckload and less-than-truckload transportation, scheduled and charter barges, intermodal bulk chemical hauls, scheduled and chartered Hercules L-382 cargo aircraft and multi-modal logistics. 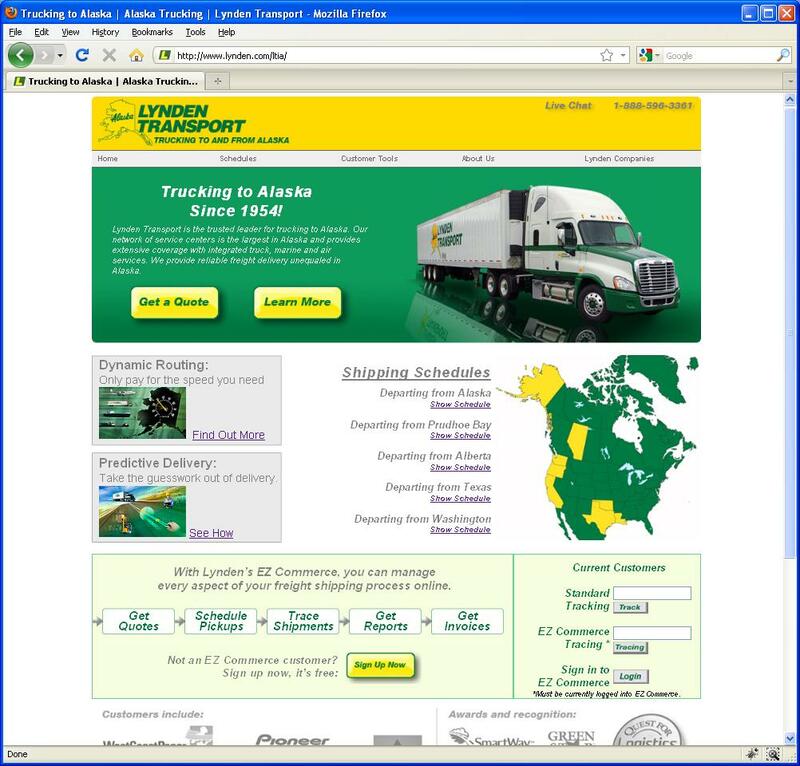 Lynden Transport's website recently underwent a major change. After receiving feedback from customers and employees, conducting user tests, and scrutinizing our web analytics, our web team created a brand new design. We hope that it makes things much easier for our customers - both current and future. Check out the changes and let us know what you think! If you have any suggestions or critiques please either leave a comment below or email Ryan Dixon, Manager of Online Marketing, at rdixon@lynden.com. 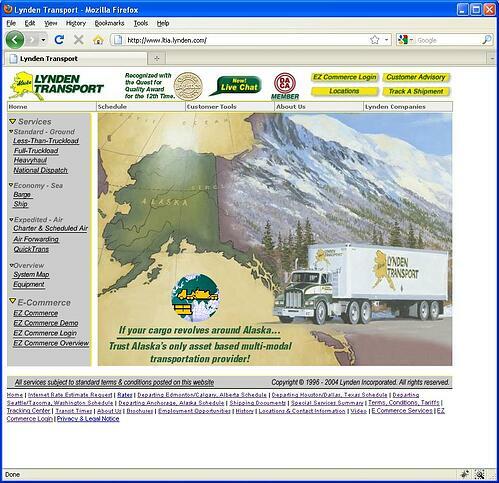 Be sure to check out the website whenever you have questions about trucking to Alaska or Alaska trucking!